Get some rest and relaxation. Meet the R&R Series. 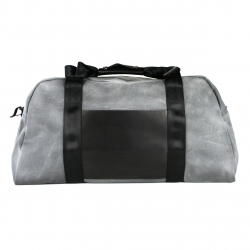 Inspired by Israeli Defense Force standard issue field duffles, this bag is decidedly not standard issue and is perfect for any mission. 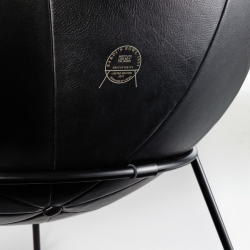 Bardi’s Bowl Chair was designed by the Italo-Brazilian architect Lina Bo Bardi in 1951. Today Arper is embarking, for the first time, on the process of industrial production of Bardi’s Bowl Chair, limited run of 500 pieces. 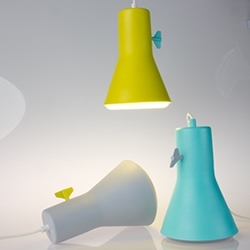 UMV, the pendant lamp with a modern, young and colorful design created by the Finnish studio NO°44. 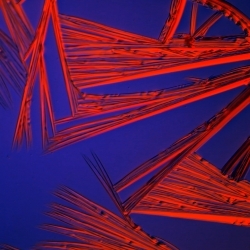 Peter Hoffman‘s “Fox River Derivatives” project is a set of photo negatives that have been burned with gasoline. 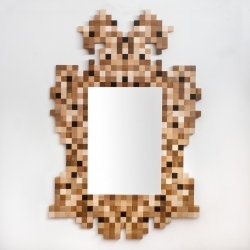 Core77 has a great look at first annual Collective Design Fair! 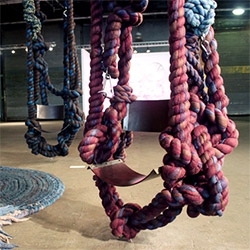 Love the swing above that is part of "SWASH" installation by Dana Barnes Studio. Reclaim NYC asked designers to team up and create works for charity based on the idea of collaboration. 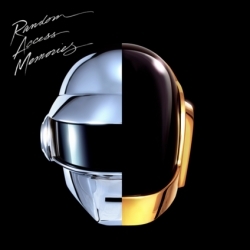 All proceeds from the exhibit will go towards NYC Hurricane Sandy relief efforts. 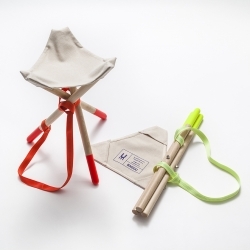 Here are BUM stools by UM Project and BAGGU! 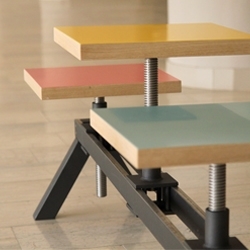 Instant Table by Why The Friday - Freedom to choose the size of the top makes this table suitable for any challenging floor plan. 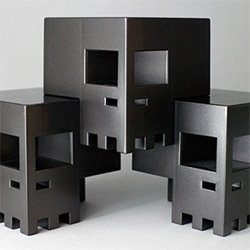 'Les Ruches' are stackable storage boxes inspired by the shape of beehives. 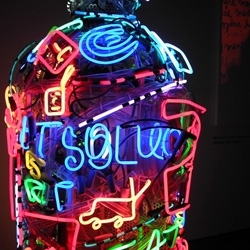 Take a tour of the Spritmuseum in Stockholm, Sweden - the art collection of Absolut. 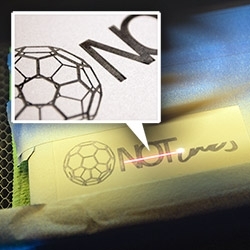 FEATUREDExperimenting with Laser Metal Marking = spray + laser + wipe! NOTlabs Laser Challenge #13! 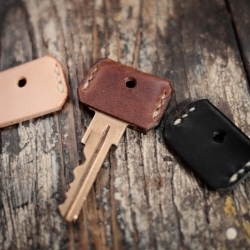 Always know which key is which with these leather key covers by Hollows Leather, made by hand to fit most common key blanks. 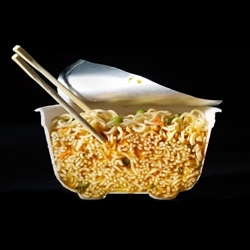 Cut Food by Beth Galton - Creative and dynamic photos of food cut in half. 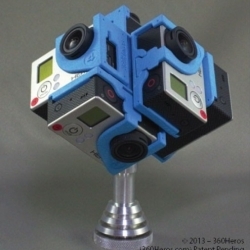 Full speherical rig for the gopro. Take amazing videos and photos. 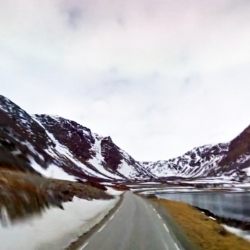 Never miss a thing by not just shooting a panorama but a complete sphere of everything around you. 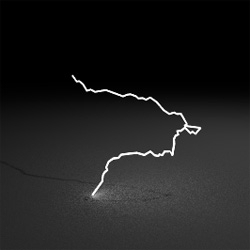 Two Redditors take separate photographs of a lighting bolt that combine to make a 3D model. 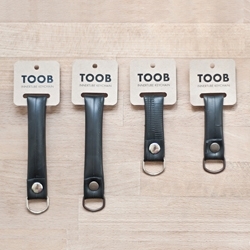 TOOB is a keychain made of recycled bicycle innertubes collected from Tel Aviv's local bicycle workshops. By Roy Sherizly. 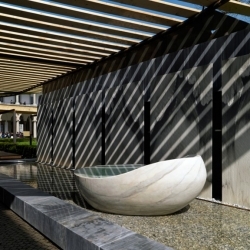 Installation SENSAI by Archizero x Franchi Umberto Marmi. 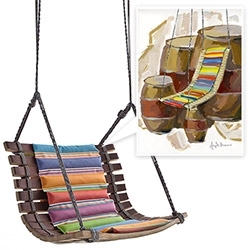 FEATUREDMiss Dondola Swing Chair by Angela Missoni for the Barrique Project by SanPatrignano - made of recycled casks! 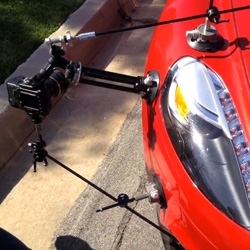 VIDEODriveTV goes behind the scenes to show how they film their car reviews with multiple cars, cameras, microphones, and monitors. 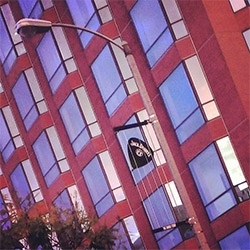 FEATUREDFun Jack Daniel's Guitar Picks in strings on Sunset Blvd instead of the usual street lamp banner ads. 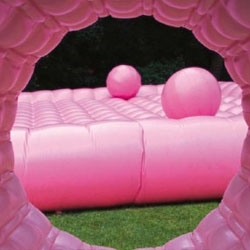 Topotek1's candy-pink temporary playground; part inflatable sculpture, part interactive play object. Dvein of Barcelona, Spain, recently premiered their music video for Magma, a mesmerizing and mind-bending visual adventure, created for Adobe. Every couple of weeks Formula 1 racing moves to a new country. 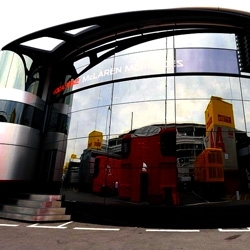 Check out a collection of their mobile headquarters that have to be assembled at each track. 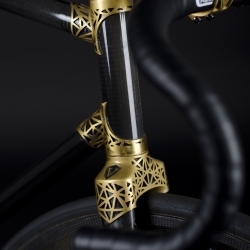 VRZ 2 is a track bike frame with 3d printed titanium lugs, glued together with carbon fiber tubes. The final bike weighs less than 5 kg. 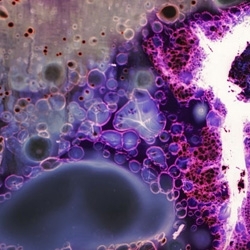 Jon Hopkins' Immunity Soundtracks: series of stunning microscopic images. 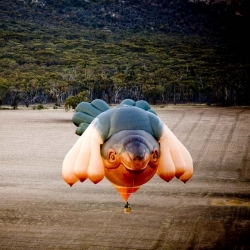 Blueboat has been working under strict secrecy with Patricia Piccinini and the Centenary of Canberra to share the story of the Skywhale with the world! 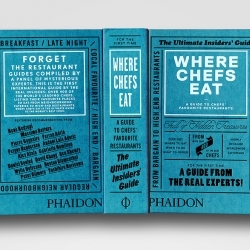 Where Chefs Eat is a Guide to Chefs Favorite Restaurants — A worldwide restaurant guide collecting recommendations from acclaimed international chefs. Meet Earl! 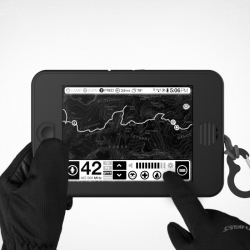 A revolutionary backcountry tablet engineered for the most extreme outdoor adventures. Scrollwithabs.com the first microsite that can only be navigated by doing crunches. A funny way to find those abs we all have inside… somewhere under there. 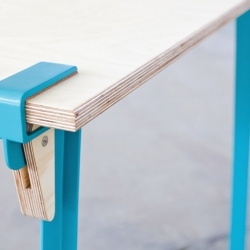 Construct furniture by Lee Walsh for Naughtone. 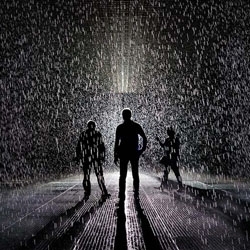 VIDEOSonic Water by Sven Meyer & Kim Poerksen is a 3D sculpture made from water, a speaker, a camera, and some clever lighting. 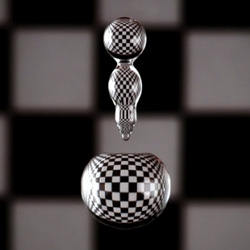 The result is mesmerizing. 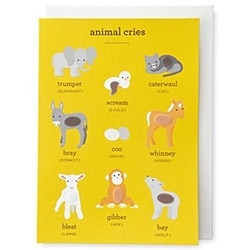 You seldom see a roundup of the sounds baby animals make... MarthaCelebrations Baby Shower Card – Animal Cries. Inside reads "Waaaaaaaa! 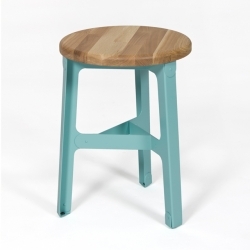 (Your new arrival) Welcome, baby!" 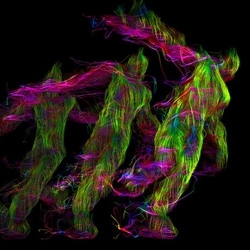 Nike Flyknit 'Fit' Installation was created for Milan Design Week 2013 and is a 4 sided video cube that reacts to movement. 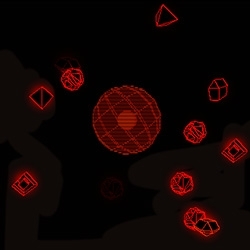 Users are able to create swarms of particles and light as well as unique sounds. 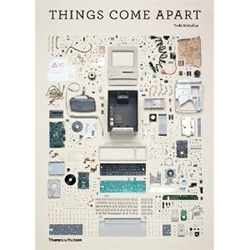 Things Come Apart: A Teardown Manual for Modern Living by Todd McLellan ~ a photographic inspiration filled book! 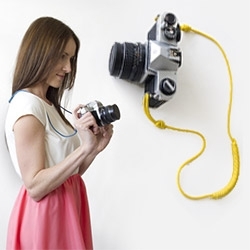 Fleet Objects Albright Camera Strap. Made with canvas, grommets and colorful 550 paracord. Lanterns: an outdoor living room. 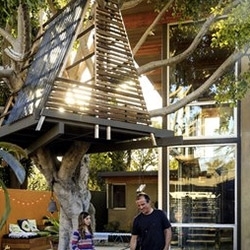 by Gray Organschi Architecture. 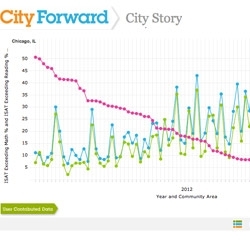 City Forward, free web-based platform from IBM that enables users – city officials, researchers, academics and interested citizens world-wide, to view and interact with city data while engaging in an ongoing public dialogue. 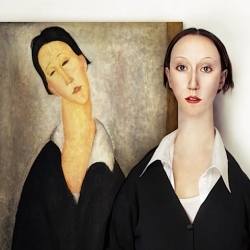 The Real Life Models by Flora Borsi - What if these abstract models were real people? 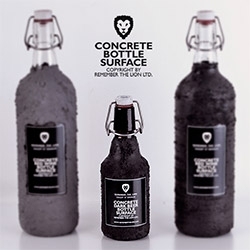 Beer bottles covered with a special concrete based surface by Remember The Lion. 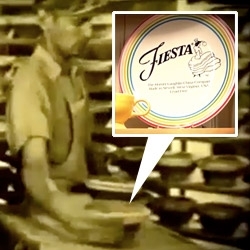 VIDEOThe Glad Tent Case Study by Alma Agency. The first tent to be a trash bag. 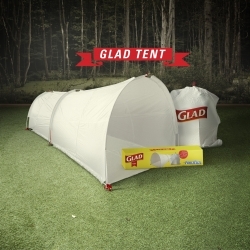 The first trash bag to be a tent. Distributed and tested at SXSW. VIDEOOtis CG Reel 2013 - consists of 3D Animation, CG, Visual Effects, and Character Animation from the graduating class of '13. 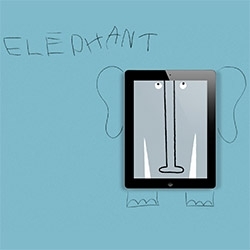 Innovative IOS app that uses your child’s world to create art. Capture colors, patterns and textures around you using the live camera signal and complete the work of world renowned artists. 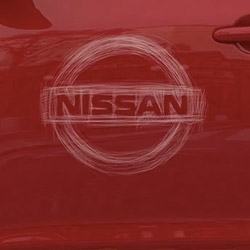 VIDEOBrilliant Nissan Self Healing Paint ad that runs on the iPad... painful but poignant. 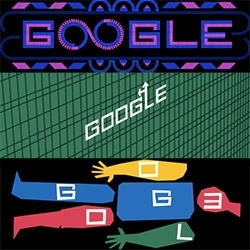 Animated Saul Bass Google Doodle today! 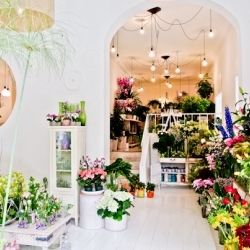 Margarita se llama mi amor is a flowers shop located in Madrid where you can find a place full of good energy. 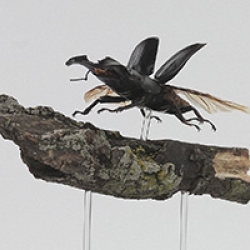 NeoLucida! 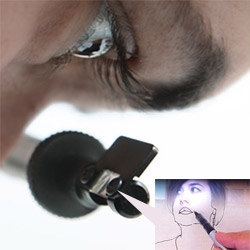 A modern day version of the 19th-century optical drawing tool - you look inside and draw what you see over the paper! 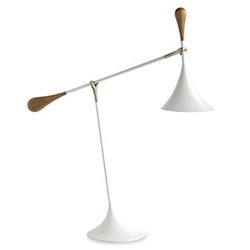 Draw like the masters thanks to our friends, Golan Levin & Pablo Garcia. 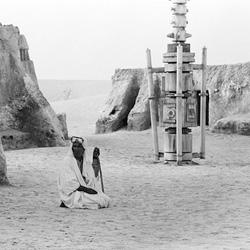 Noah Scalin's League of Space Pirates has a new website from the 1980's version of the future. 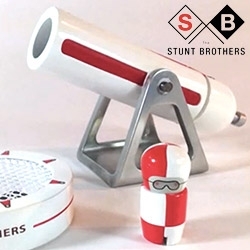 FEATUREDLaser Cut Robot Filter for your dSLR lens. 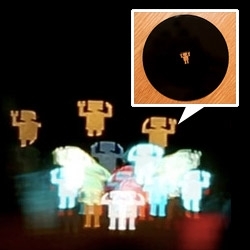 Bokeh = Blurred in Japanese, and also refers to background light blurs in night shots. NOTlabs Laser Challenge #12 we play with bokeh shape filters to turn them into dancing robots in the video! 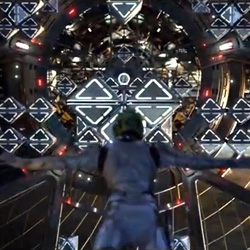 VIDEOThe first trailer for Ender's Game, based on Orson Scott Card's novel, has just been released. 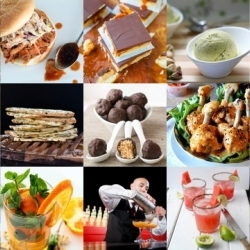 FEATUREDThis week’s roundup from Tasteologie and Liqurious includes Mint and Orange Hot Toddies, Fish and Chip Cupcakes, Peanut Butter Caramel Twix Bars and more. 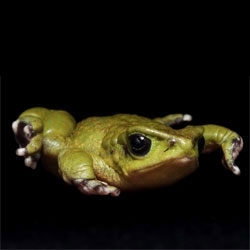 Incredible photographs by Peter Lipton capturing the amphibians of Ecuador. 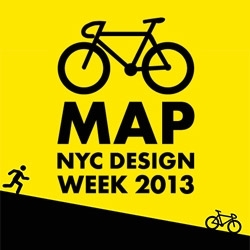 The New York Design Week Bike Map - created by a collaboration between BIKEID and Wanted Design. Leave your car and yellow taxi at home and bring your bike - greener, faster, more design, more parties! 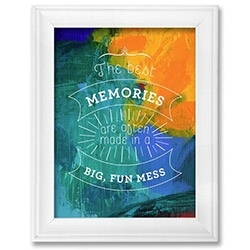 FEATUREDWieden & Kennedy are illustrating some of the best quotes/advice from Mom's for P&G's Thank You, Mom campaign to celebrate mother's day! 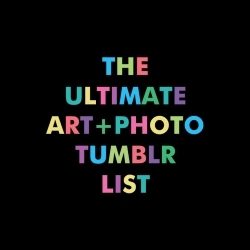 A crowd-sourced/curated list of the best Art+Photo Tumblrs worth following. Updated daily. 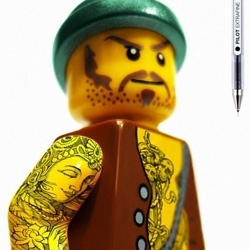 Pilot Pens partnered with Barcelona’s Grey agency to create an ad campaign of LEGOS with drawn on tattoos. 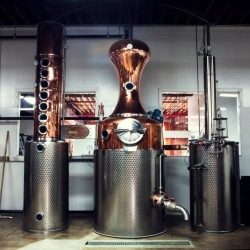 VIDEOPortrait of Bridget Firtle & her one-woman operation, The Noble Experiment, a Brooklyn, NY distillery. 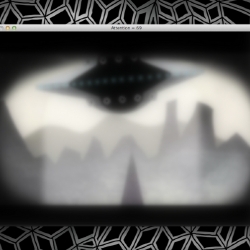 INCIDENT is a Mac OS X based mind play that emphasizes on practicing concentration skills by involving in conscious and subconscious play experiences. 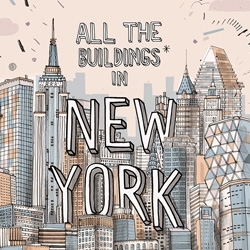 All the Building in New York by Gulliver Hancock is a book cataloging the artist's attempt to draw every building in NYC. 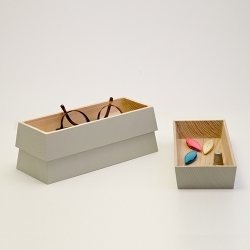 VIDEOUnion wallet is made from wood and elastomer. 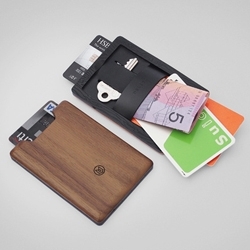 A slim minimalist wallet that combines the warmth of wood with functionality made possible by injection molded parts. 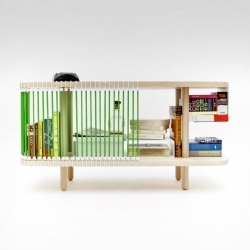 Designed by Cyril de Moulins, Club Sandowich is a base cabinet framed with bungees. 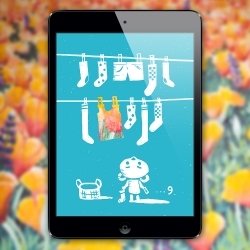 VIDEOThe Jörgits by TANK & BEAR is an indie children's novel for the iPad. You'll discover a new found love for our planet through the eyes of these lovable aliens. 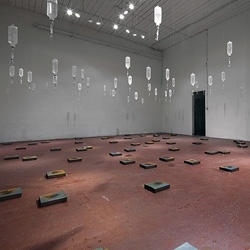 VIDEOSound artist Zimoun's newest work entitled 60 medical infusion sets, water, fire, metal sheets 20x20x4cm is a room full of infusion sets dripping water onto heated metal sheets to creating smoke and an incredible soundscape. 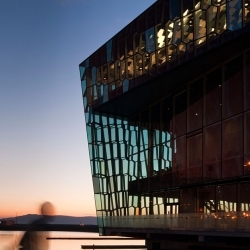 VIDEOHarpa, the Reykjavik Concert Hall and Conference Centre in Iceland, is the winner of the 2013 European Union Prize for Contemporary Architecture - Mies van der Rohe Award. 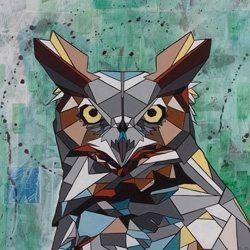 Transcontinental artist, DAAS, recently released his latest body of work, entitled, Geometrics. VIDEOMicro Mayhem! 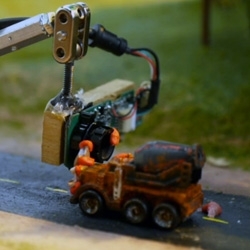 by Stoopid Buddy Stoodios is a hand-crafted stop-motion animation using Micro Machines. 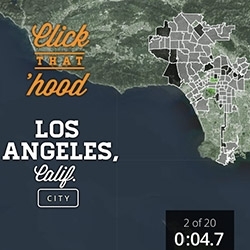 A Teehan+Lax Labs experiment for creating interactive Google Street View hyper-lapse animations. 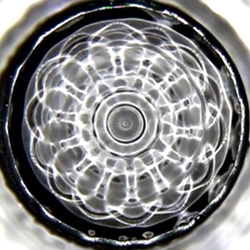 Entropy by Physalia is a film made with 2000 photos of a water droplet as an animation plays behind it. 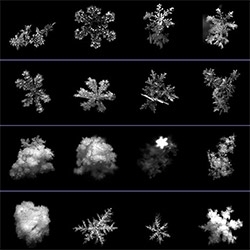 The result is a mesmerizing time lapse. 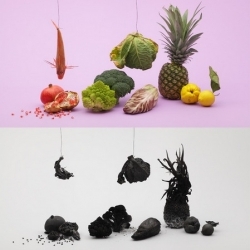 Still life by Kensuke Koike - Carbonization of fruit and vegetable. 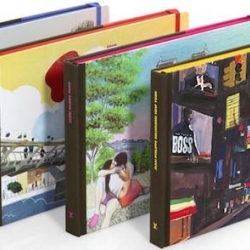 French maison Louis Vuitton presents the 2013 Travel Books Collection. 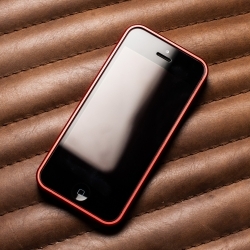 The AL13 is created from Aerospace grade aluminum, so you get a slim, lightweight frame that’s tough for the iPhone. 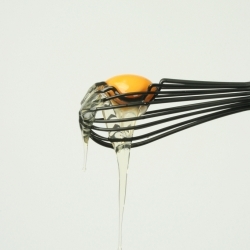 The kitchenware accessory maintains the original function of a whisk - integrating a void within the tip for easily separating the egg yolk. 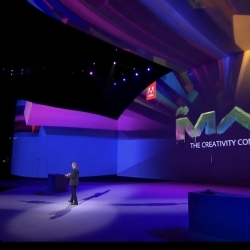 Adobe announced a new suite of Creative Cloud-only apps and services today at its Max conference, kissing the Creative Suite goodbye. 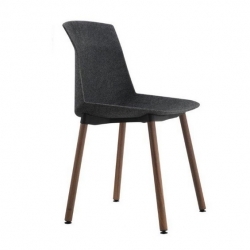 'Motek' Chair by the Italian designer Luca Nichetto for Cassina. 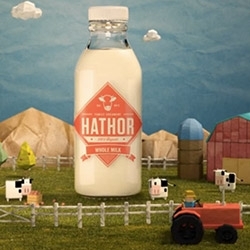 Animated graffiti! 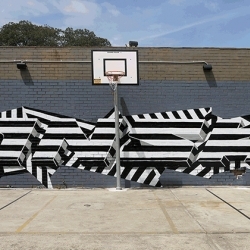 INSA paints walls multiple times to create these amazing moving murals. 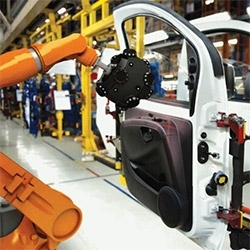 Elmoto is German engineering at its best. 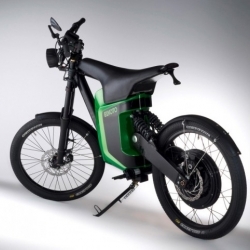 The lightweight e-bike, a sleek looking solution for in city commutes. 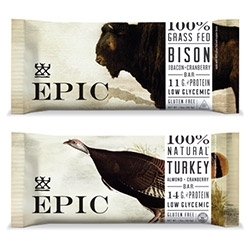 Epic Bar ~ nice branding/packaging, intriguing super meaty (Bison, Turkey, Beef) snack bars that are high in protein and low in sugars. Fraggle Rock Playing Cards! 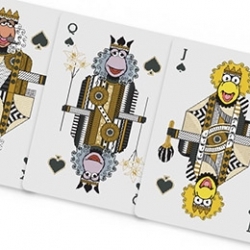 The Spare Room and Henson have come together to create a limited edition deck of Fraggle Rock playing cards produced by the US Playing Card Company. 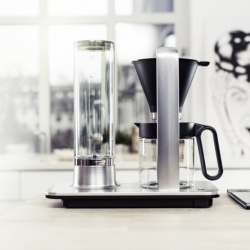 Nordic Coffee Culture and development of their own style of coffee machines. 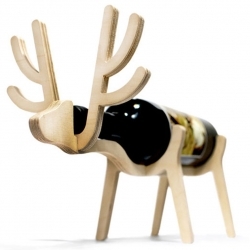 The Wilfa Svart Presisjon is one of these beautifully designed machines. 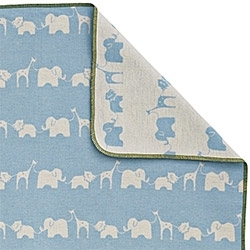 Serena & Lily adorable Safari Baby Blankets - collaboration with acclaimed Austrian textile company David Fussenegger. Supremely soft flannel blankets. 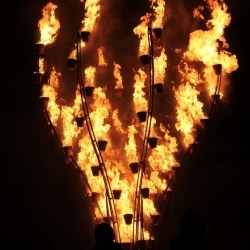 Marseille Provence Under Open Skies, bursts into flames to celebrate the second part of its tenure as joint European Capital of Culture. 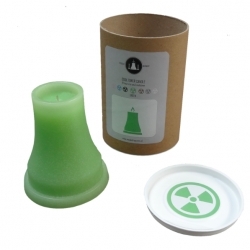 Cooling Tower Candle! 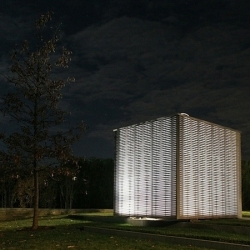 A cooling tower is often associated with danger, the beauty of it is often not seen. 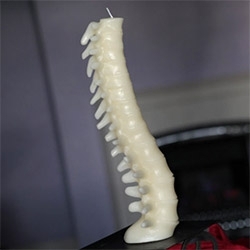 The smoke and the melting of the candle making the contrast and thus the overall appearance. 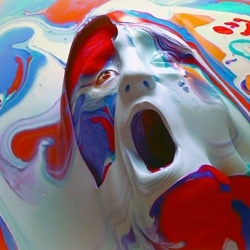 A beautiful meltdown! 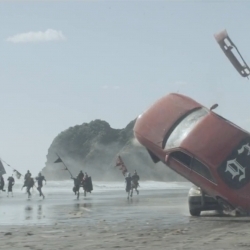 VIDEOSamsung 'Charge' - Epic spot by Romain Gavras and CHI&Partners. VIDEOAs you stand on the subway platform feeling like you’re being watched... 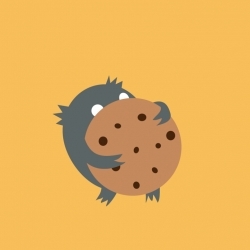 Slowly, cautiously, you turn your head until you find them: two big, eager eyes and a gaping mouth. You smile. 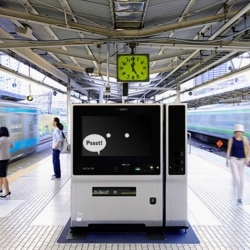 Meet Acure: the world’s most irresistible vending machine. 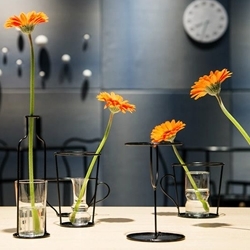 Thin Black, collection of vases by Japanese studio Nendo for Swedish brand David Design.